I have always been interested in new anti-aging products. After all, if you can find something that’s effective in helping to keep you looking younger for longer, then why not take advantage of it and hold onto your looks? There has been much psychological research done on the subject of attractiveness, and countless studies have shown that attractive people tend to do better in life and are generally happier overall. Whilst you can’t really do much to change the way you look, you can make yourself look the most attractive person you are capable of being, and this is where anti-aging products come in. Your skin is the most visible part of your body, and consequently, it’s something that people look at everyday and use to judge your age. Of all the skin on your body, your facial skin reveals your age the most. The skin on your face is the most visible part of your body, so it’s important to keep it looking at its best. Faces that have fine lines, wrinkles or sagging skin look older than faces which are smooth, wrinkle free, plump and firm. Fortunately, we now understand why the skin begins to show signs of aging, and it’s all to do with the supportive structure that lies underneath it. One of the most important supportive structures that makes up the skin is collagen. As you age, your collagen levels naturally begin to decline, and when they do, your skin starts to show visible signs of aging such as wrinkles and sagging. Depletion of collagen causes the skin to wrinkle. Therefore, in order to slow down the aging process of the skin, we need something to address the issue of collagen depletion. The good news is that there is already a very effective product which does exactly just that. 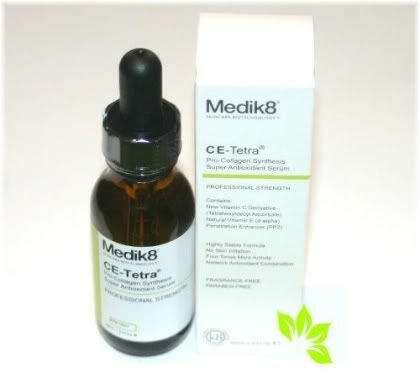 Medik8 C-Tetra is a topical vitamin C based skin serum. It uses a highly stable form of vitamin C called Tetrahexyldecyl Ascorbate at a concentration of 3%. There is also a stronger professional strength version called Medik8 CE-Tetra, which contains the same stable vitamin C compound, but at a concentration of 7%. Medik8 C-Tetra contains 3% tetrahexyldecyl ascorbate. The reason why this is such an exciting product, is because vitamin C has been shown in numerous scientific studies to stimulate collagen production. This then helps to maintain the supportive structure underneath your skin, and by doing so, delay the visible signs of aging. 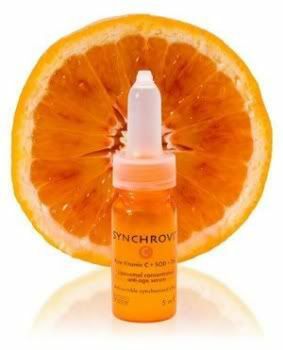 Although there are other vitamin C serums and creams currently available, the majority of them use l-ascorbic acid. Unfortunately, ascorbic acid is not a very stable compound when it’s placed on the skin and exposed to air. As a result, it tends to decay very quickly, and when it does, it produces free radicals on your skin that actually increase skin aging! This is why it’s so important to use a product like Medik8 C-Tetra/Medik8 CE-Tetra that uses a stable form of vitamin C. One that will not go rancid on your face. 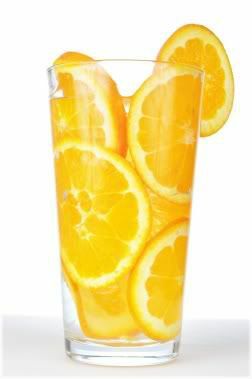 Most vitamin C products for the skin use l-ascorbic acid, a type of vitamin C which goes bad easily. Medik8 uses a very stable form of vitamin C, so you won’t have to worry about it spoiling. Which would you prefer to put on your face? In addition to the stability of Tetrahexyldecyl Ascorbate, it has also been shown to be up to four times as powerful as ascorbic acid, thereby giving you maximum anti-aging benefits. And just in case you’re wondering, ingesting vitamin C does not have the same effects as applying it directly onto the skin. • Protects against free radical damage (vitamin C is a known antioxidant). • Protects against sun damage (vitamin C can be used as a sunscreen). • Even out skin tone and hydrates the skin. • Non-comedogenic, so it does not clog your pores. • Once absorbed, the vitamin C cannot be washed off the skin and will stay there for 3 days. • Does not irritate the skin, making it great for sensitive skin types. As you can see, these are quite some impressive additional benefits to have in any anti-aging skin care product! Never mind the amazing benefits that topical vitamin C has! The “craze” about tetrahexyldecyl ascorbate seems to come from a double blind published study which compared skin treated on one side of the face with tetrahexyldecyl ascorbate, and the other side of the face treated with a placebo. The results showed an improvement in wrinkles and evidence of collagen formation on the side treated with vitamin c.
The problem with this study is that the side of the face treated with tetrahexyldecyl ascorbate was also treated with ascorbic acid. So it’s impossible to say for certain that the improvements seen were from tetrahexyldecyl ascorbate and not from ascorbic acid. This study was also only carried out on 10 people. Overall this is a poorly designed and weak study and cannot be used as evidence of the effectiveness of tetrahexyldecyl ascorbate. I therefore no long use the Medik8 product nor recommend it. One of the things that I most like about Medik8 C-Tetra is that it provides its anti-aging skin care benefits with the minimum amount of ingredients necessary to do the job. There are only five ingredients, three of which are jojoba oil, Tetrahexyldecyl Ascorbate and vitamin E.
Medik8 uses very few ingredients which makes it almost as pure as the vitamin C from an orange! On the packaging it states that it is fragrance free. This is important to me because the term “fragrance” can encompass a whole host of chemicals, some of which have been shown to be bad for the skin and toxic to the body. So this is definitely a plus for something you are putting directly on your face. It is also paraben free which is another bonus. These minimal ingredients make Medik8 C-Tetra/CE-Tetra about as pure as you can get when buying a commercial anti-aging skin care product. Personally, I would have preferred it if they just left the ingredients as they were before, rather than adding in more things. Due to the presence of the last four ingredients, I would recommend only applying this serum at night before bed. Applying it during the day will increase your skin’s sensitivity to sunlight due to the grapefruit peel oil. Medik8 CE-Tetra contains 7% tetrahexyldecyl ascorbate. Another thing I like about this serum, is that it’s not greasy and is quickly absorbed. After you have applied it, it only takes a few minutes to be completely absorbed. This means that you can apply it to your face and then go out without having to worry about your skin looking oily. The serum itself is a clear slightly oily liquid. This is something to look out for in vitamin C serums, because if the serum has a yellowish or orange tint to it, then that indicates that the vitamin C has been oxidized and so should be thrown away. 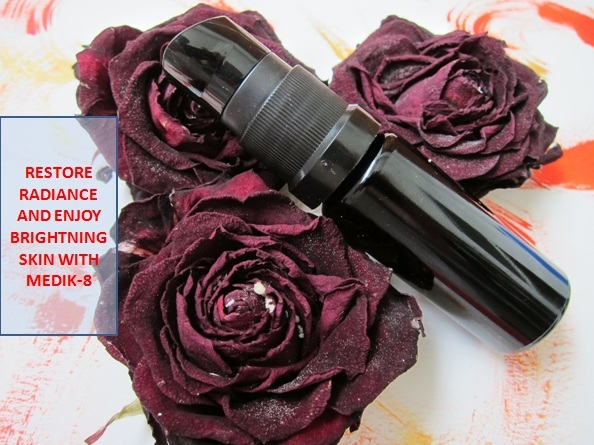 The serum itself comes in a 30 ml dark glass bottle with a glass pipette. You can tell the manufacturer knows what they are doing when producing this product, because light is known to degrade oil and toxins from plastics can leach into oil. You should never use vitamin C products that are tinted with color, as you won’t be able to tell whether the vitamin C has been oxidized or not. The instructions recommend placing 3-4 drops on the face once a day, and then massaging the oil across the whole face. After which, you can then apply your regular face cream if you want. Following these instructions, the 30 ml bottle should last you for at least a few months. However, due to the enormous benefits provided by this skin serum, I use a bit more than is recommended. I put two drops on my forehead, left, center and right, making sure to also massage some into the area directly above the eyebrows and in the skin between the eyes. I then move down the face and put one drop on the outside corner of each eye, where crow’s feet normally develop. I then use that drop and rub it along the lower eyelid and upper eyelid. I place two drops on each cheek, and one drop above my upper lip to massage around the mouth area. I also use a single drop for my lips, and one or two drops on the top of each hand. Aim to cover the whole face with the serum. Currently, I am using the Medik8 C-Tetra which contains the 3% Tetrahexyldecyl Ascorbate concentration on late 20s skin as a preventative measure against facial aging. After I have applied the Medik8 vitamin C serum, and allowed it to soak in for a few minutes, I then apply some emu oil to enhance the absorption of the vitamin C into the skin. 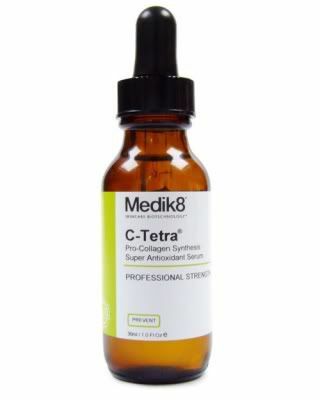 Overall, I am very pleased to have discovered the Medik8 C-Tetra vitamin C serum. I think the cost is definitely worth it, especially when such a product is so effective in maintaining a person’s youthful looks.